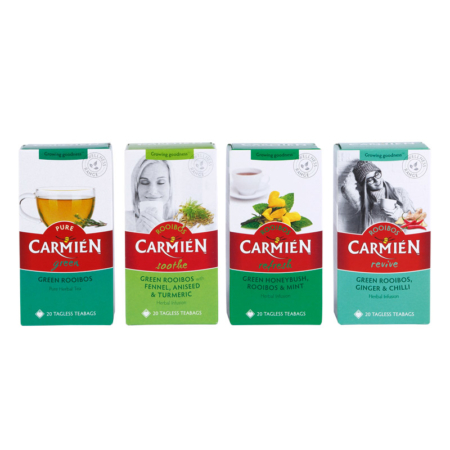 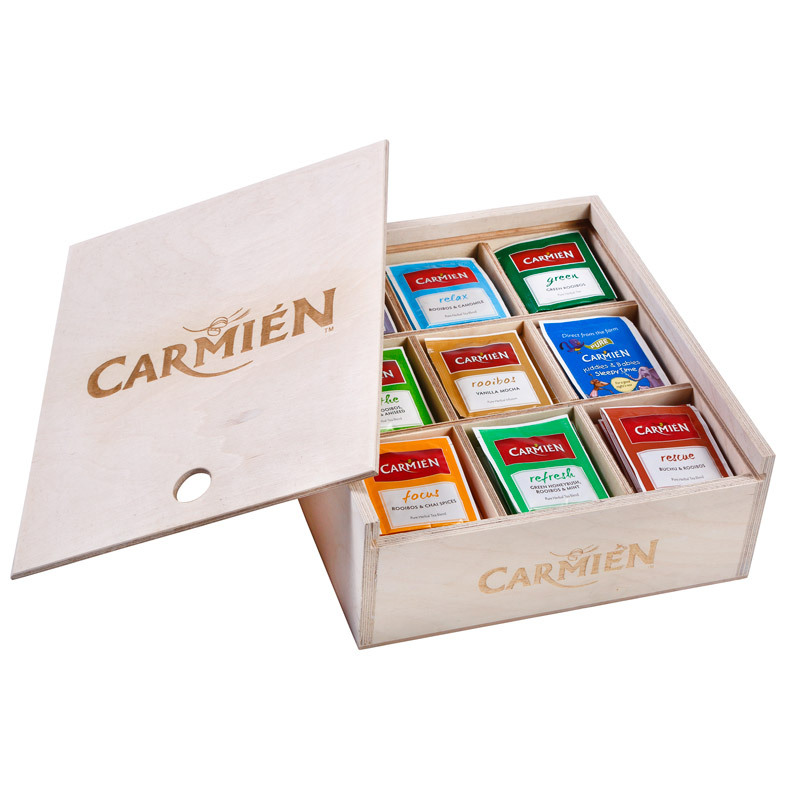 Carmién Green Rooibos leaves are specially treated to prevent oxidation, leaving them closer to their natural state. 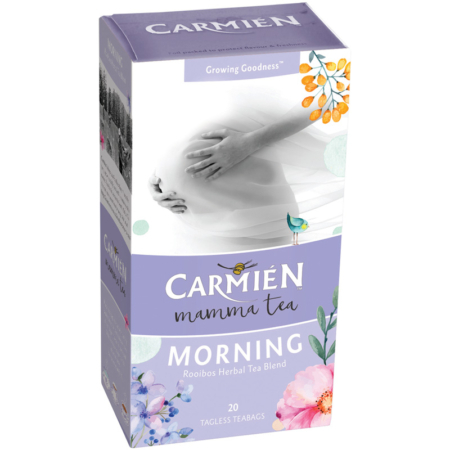 This results in a lighter bodied brew and more natural antioxidants. 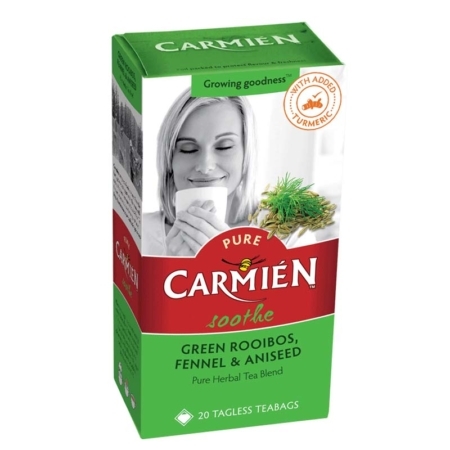 The natural sweetness and low tannin content of green rooibos still ensures a smooth taste much less astringent than green black tea. 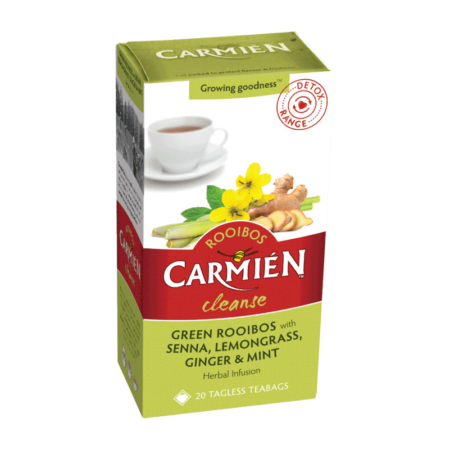 Green Rooibos is naturally caffeine-free and contains no kilojoules.